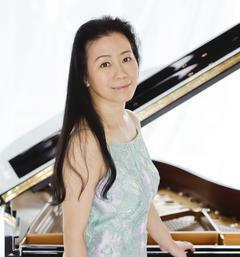 Michie Koyama began playing the piano at age 6. She graduated from the Tokyo University of the Arts and its Graduate School, studying with Michiko Yoshida and Hiroshi Tamura. She is the only Japanese pianist ever to have won prizes at the international music competitions in both Moscow (the Tchaikovsky Competition, 3rd Prize, 1982) and Warsaw (the Chopin Competition, 4th Prize, 1985). 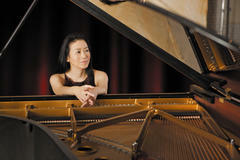 Her repertoire includes over 60 piano concertos and many solo works ranging from Baroque to contemporary. She has performed with eminent orchestras and conductors such as the BBC Symphony, the Royal Philharmonic, the Berlin Symphony, the Montreal Symphony, James Conlon, Seiji Ozawa, Andrew Davis, and Wolfgang Sawallisch, among others. In 2012, she toured Japan with Maestro Vladimir Fedoseyev and the Tchaikovsky Symphony Orchestra, and then Moscow in 2013. In 2006, Ms. Koyama started a grand-scale project "A romantic journey through the piano keys," which will end in 2017. This project consists of 24 Recitals in 12 years (two concerts per year, in spring and autumn) in 7 Japanese cities: Sapporo, Tokyo, Nagoya, Osaka, Sendai, Fukuoka, and Kitakyushu. Since the Great East Japan Earthquake in 2011, Ms. Koyama has been visiting numerous schools and public facilities in the Tohoku region that was seriously damaged by the earthquake. She has made 27 recordings for Sony. Her latest CD, entitled 'Chaconne,' won the 51st Record Academy Awards in Japan 2013 in the best instrumental solo category. In 2005 she won the Grand Prize for music in the Arts Festival of the Agency for Cultural Affairs, and in 2013 she was awarded the prize for music from TonenGeneral Group. She participated in PMF in 1999 and 2001 as a soloist with the NHK Symphony Orchestra, and as a Guest Artist in 2013.